Currently, the LPG prices are reviewed by retailers on a monthly basis, based on international crude oil and rupee-dollar foreign exchange rates. LPG or liquefied petroleum gas prices have been increased twice so far this calendar year. In Delhi, the price of non-subsidised LPG has been hiked by Rs 5 per cylinder from April 1 compared with the previous month, while that of subsidised LPG by 25 paise per cylinder, according to Indian Oil Corporation's website. LPG consumers in the country have to purchase LPG - or cooking gas - at market rates. The government subsidises 12 cylinders of 14.2 kilograms each per household in a year. Indian Oil, the country's largest fuel retailer, supplies LPG under brand Indane. With effect from April 1, 2019, subsidised and non-subsidised LPG gas cylinder prices in Delhi were revised to Rs 495.86 per cylinder (14.2 kilograms) and Rs 706.50 per cylinder respectively, according to Indian Oil Corporation's website - iocl.com. 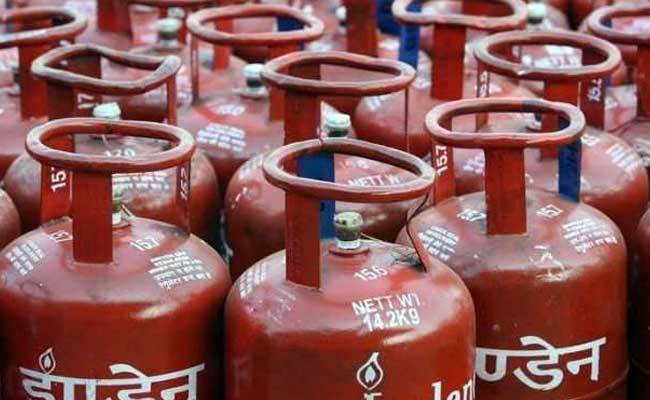 In Mumbai, the subsidised and non-subsidised LPG cylinder prices were revised to Rs 493.57 per unit and Rs 678.50 per unit with effect from April 1, as against Rs 493.32 per cylinder and Rs 673.50 per cylinder in March respectively, according to the data. Before the April 1 revision, the subsidised and non-subsidised LPG prices in Delhi had been lowered by an overall Rs 5.29 per cylinder and Rs 108 per cylinder respectively this year year. Currently, the LPG prices are reviewed by retailers on a monthly basis, based on international crude oil and rupee-dollar foreign exchange rates. The amount of subsidy - credited directly to the consumers' bank accounts - varies from month to month.